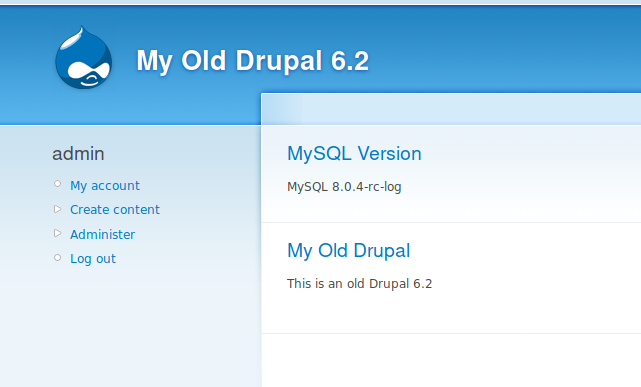 Recentl y I blogged about the new default authentication plugin in MySQL 8.0 and I got some comments complaining that this new authentication plugin is breaking half of applications. Let’s got back to the blog post now. 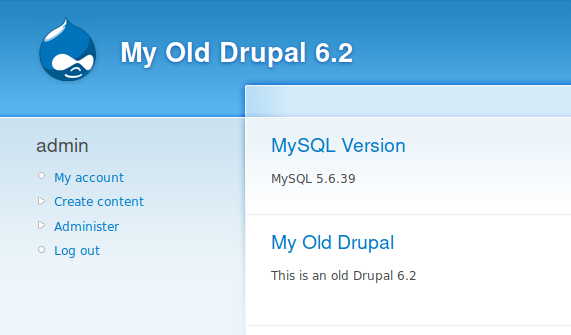 The exercise of this blog consists in the migration of the MySQL server 5.5.59 used by Druapl 6.2 to MySQL 8.0 without migrating to the latest Drupal version. So know that this is clarified again, let’s continue with our plan. 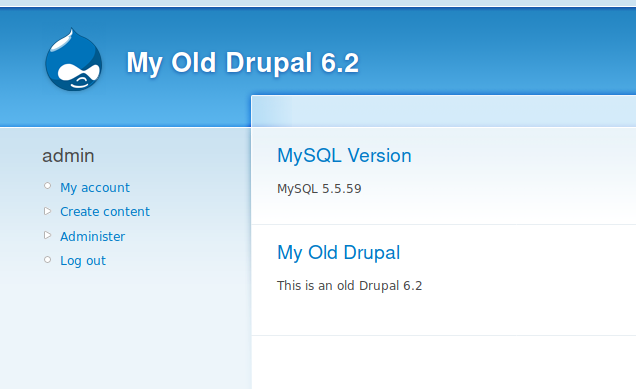 As we are using 5.5.59, the latest 5.5 version, we don’t need to upgrade the binaries to the latest 5.5, if we would use a older version of 5.5, I would have recommended to upgrade first to the latest version of the same major version too. 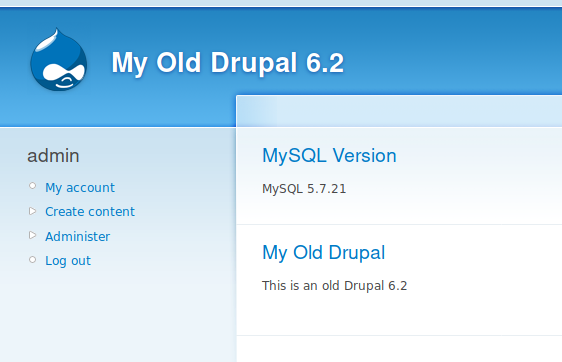 Our first step is then to put our site in maintenance and then upgrade to the latest 5.6. 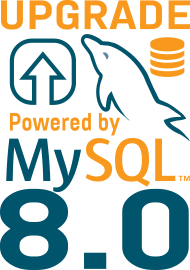 It’s time now to upgrade to MySQL 8.0 ! OH! 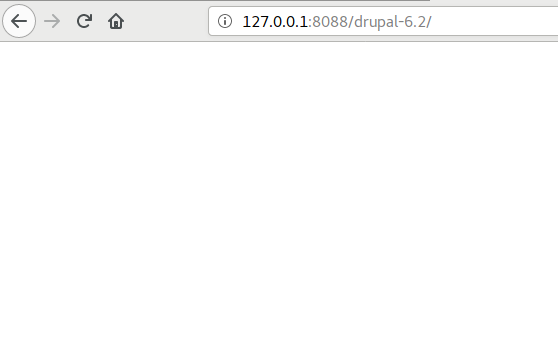 We have a problem it seems… Did my user’s authentication method changed and my old PHP connector doesn’t support it ? If you are using an old application, no the new authentication plugin doesn’t break your application, until you don’t create a new user for it and not specify an authentication method compatible with your connector. But of course other things, like reserved keywords in this case, can be problematic. This is why an major release upgrade always need to be tested in advance. Not only for schema and syntax compatibility but also for performance as the query execution plan might not be the one you expect event if in most cases the MySQL Optimizer becomes smarter and smarter with the releases and has the support of new features like the histograms. And don’t forget that the new MySQL Shell includes a new utility checking your current environment to identify possible issues like the one covered in this article.